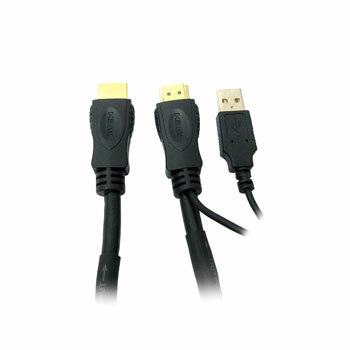 These active HDMI cables are intended for applications where longer cable-run lengths than those obtainable with standard HDMI cables are required. 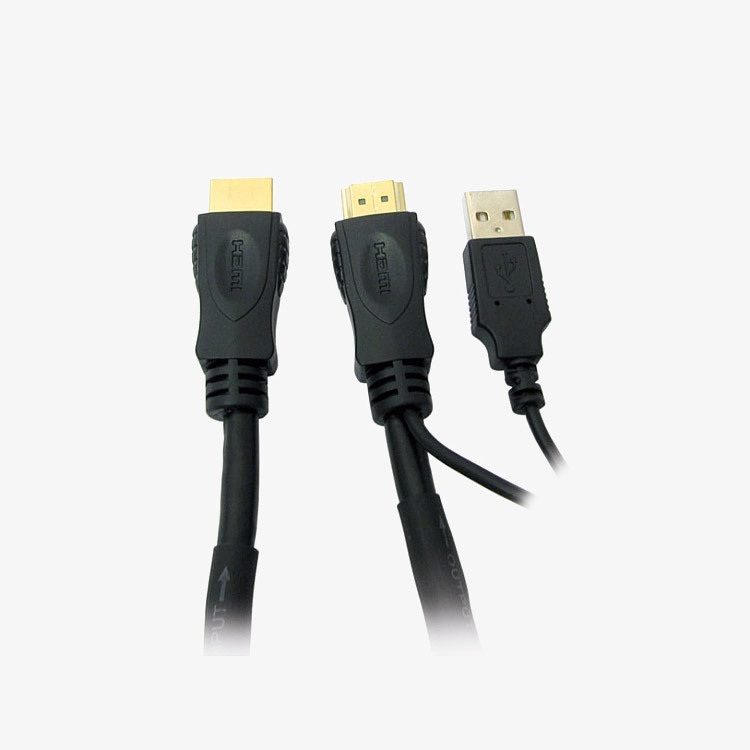 They take power from the HDMI connection, and a short USB Type-A connection is provided if extra power is required. They offer a considerably more elegant and cost-effective solution for long cable runs than Cat5E cable with converter box systems. Cables are available in a range of lengths from 20 to 50 metres; all cables are double shielded with gold-plated type A plugs at both ends. Lengths up to and including 30 metres support up to 4k x 2k resolution at 60Hz; 40 metre up to 4k x 2k at 30Hz; and 50 metre up to 1080p resolution at 60Hz. Note: These cables can only be used in one direction. The connector marked 'Output' must be connected to the display device such as a TV. Failure to connect the cable in the correct direction will result in no signal.